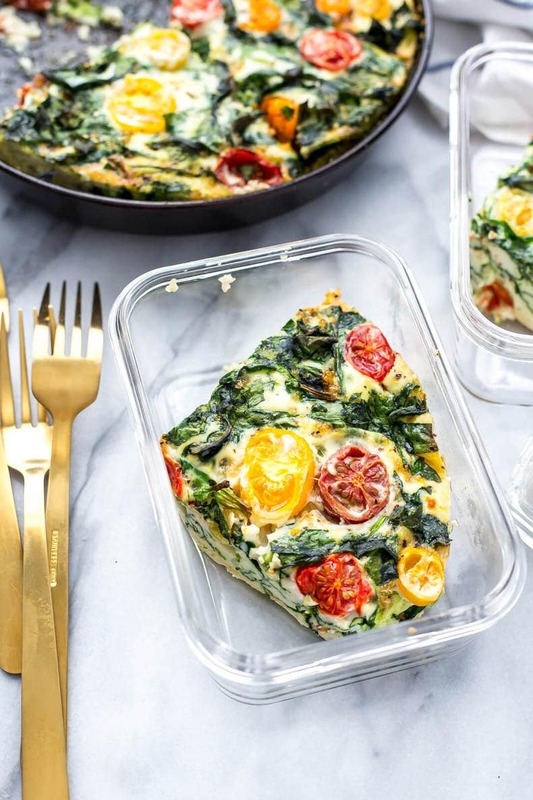 This 5-Ingredient Meal Prep Egg White Frittata is hands down the easiest way to get your work week breakfasts ready all at once - with minimal ingredients, prep time and clean-up, this will become your go-to meal prep each week! Preheat oven to 400 F. Grease a large shallow round baking dish/cake pan with olive oil, making sure to grease the sides well. Add remaining ingredients, stirring well and gently with a fork. Place baking dish on top of a baking sheet lined with parchment paper just in case a bit of the oil rises above the egg white mixture (optional, but I do this to avoid grease dripping down into the oven as the egg whites rise and cook). Bake in the oven for 30-35 minutes until egg whites are firmly set. Remove from oven and slice into 4-5 pieces when cooled. Congrats, you've got breakfast ready for the week!